WIts time to step up to a framed rig. I have a 1998 jeep cherokee sport in which i cut up and caged. it was on 3/4 ton running gear and I am parting out the entire thing minus the tires/wheels, motor/trans/tcase. 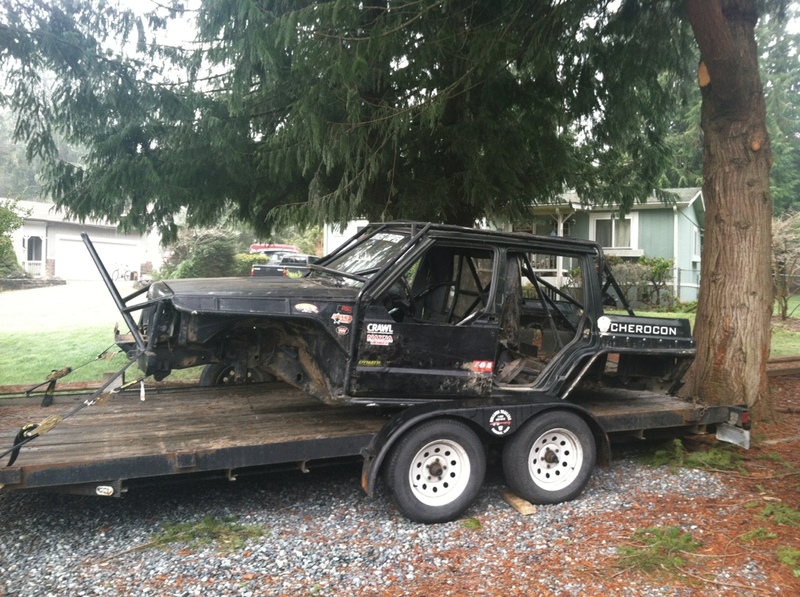 I will list the parts i am selling and if you wish to see pictures feel free to text me at 253-334-5163.
off the top of my head here are the main parts i am trying to get rid of. There might be a few more items laying around which i will update as i come across them. im pretty firm on most prices but we might be able to negotiate some things. Last edited by 98CherokeeSport; 01-23-2013 at 03:54 PM. Last edited by 98CherokeeSport; 01-06-2013 at 11:14 AM. Happen to have any seat.belt harnesses? Can i get a pic of the Bomz seats? can I see some pics of the seats? and the winch? damn wish I wasn't moving back to Oklahoma. id buy this.